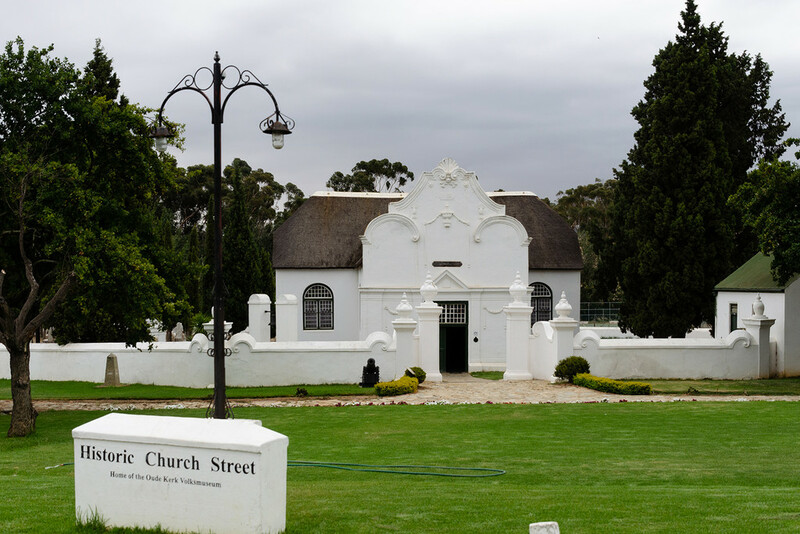 Tulbagh is steeped in history. This church was originally built in 1795. On 29th September 1969 at 22h05 the Boland area was hit by an earthquake that caused considerable damage to the town of Tulbagh. The earthquake, measuring 6,5 on the Richter scale, had left the village in ruins, 11 people had lost their lives. Many of the Church Street buildings were destroyed. This church was hardly damaged although buildings surrounding it were in ruins! The extent of the damage was aptly described by the Journal Bulletin of the Simon van der Stel Foundation in 1973: "A street that somehow captured the essential spirit of a unique culture looked as if it was in the throes of a nightmare. Many fine gables had either tumbled or were totally destroyed, whole sections of many houses had collapsed, most of the soft brick walls had burst open in wide cracks, plaster had been torn by off in large sheets, rafters and roofs had caved in. Everything appeared to be in total and irreparable ruin." After the disaster in Church Street extensive projects of restoration began with the National Committee for the Restoration of Historic Buildings in Tulbagh and its Environment. Because of this work Tulbagh now contains possibly the largest number of Cape-Dutch, Edwardian and Victorian provincial heritage sites in one street in South Africa, and remains a major tourist attraction of the town to the present day. The work started by the committee has been continued to the present day by various residents of Tulbagh, but also significantly by the Tulbagh Valley Heritage Foundation which aims to restore and maintain "all structures older than 60 years, the cultural landscape and undeveloped properties connected to the historical structures above"
Such a lovely detailed building! Great image. I do love the architecture over there - has a portuguese flavour as well as spanish! Wonderful architecture, and fascinating background story, thanks for sharing it all. Really interesting information and great architecture.